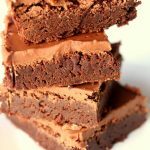 Fast Fudgy Freezer Brownies–when you’re in the mood for brownies don’t reach for the boxed mix! Make these easy fudgy brownies and chocolate frosting for the ultimate chocolate experience. Freeze the leftovers and then eat them as a treat straight out of the freezer. To me there are few treats better in the world than a well made and frosted brownie. YUM! Because today is National Chocolate Day (and coincidentally my wedding anniversary) I wanted to share this really fast and easy fudgy brownie recipe with you today. It may just become your go-to brownie recipe. It has become that for me! One thing that I like to do with leftover brownies is freeze them in an airtight container. Then whenever I want a quick treat I can grab one out of the freezer and eat it immediately. 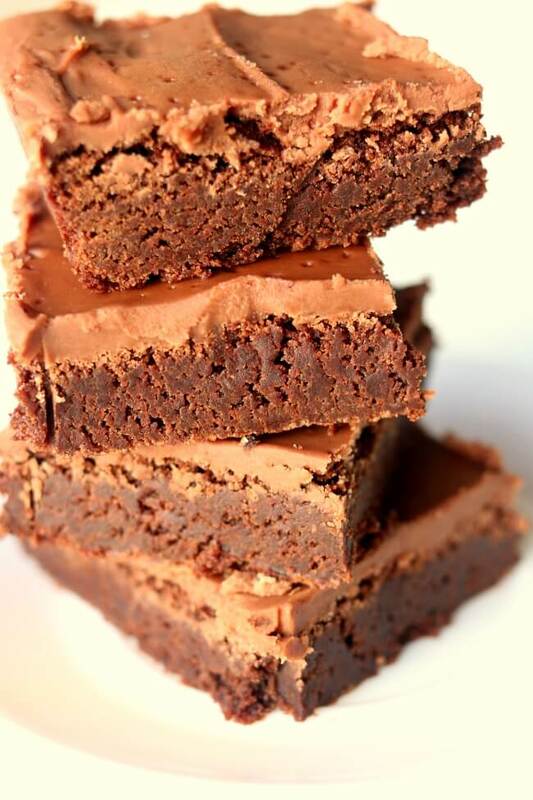 Frozen brownies are seriously so good. Fast to make and delicious to eat! Store the leftovers in the freezer and eat them frozen for a delicious treat. Spread into prepared pan. Bake for 18-22 minutes or until wooden toothpick inserted in center comes out mostly clean. Cool completely in pan on a wire rack. Prepare the frosting. Bring the butter, milk and cocoa to a boil over medium heat. Stir well with a whisk. Remove from heat. Whisk in the salt, powdered sugar and the vanilla. When frosting is smooth spread it on the cooled brownies. So glad you liked them Tina! Hi, I’d love to make these……. but can I use unsweetened almond milk instead? 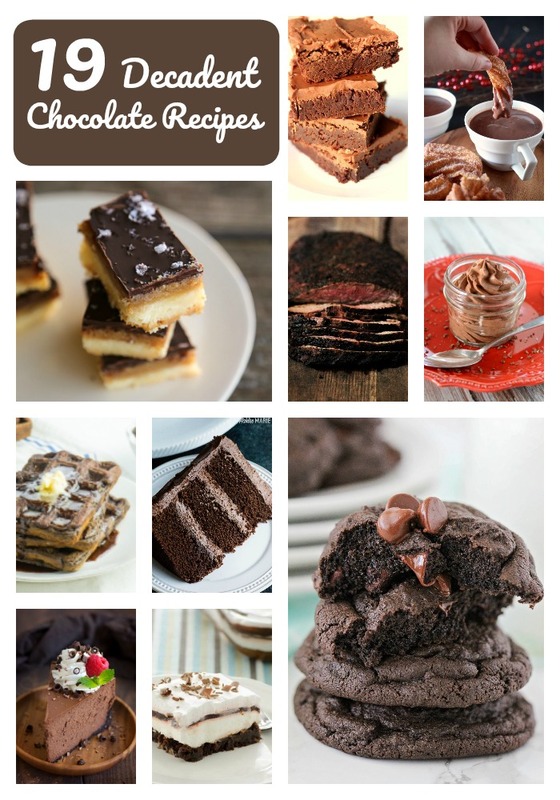 I miss sweets and love reading these delish recipes you share! yes you can use almond milk in the frosting. I am not sure about reducing sugar! I have never tried it and am definitely not an expert on making sweets “healthier” haha! We made these last week and they were a hit. Easy to make (my 3 yr old helped) and my hubby grabs one from the freezer almost every night. So so good. Thank you! I’m so glad you like them. I want to make another batch right now! I freeze cookies all the time, but I’ve never thought to freeze brownies. I’m definitely going to try these for those times when I get a chocolate craving!